The world has come to Europe. Reach Europe; change the world, could define the Greater Europe Mission’s philosophy. Pray for Bob and Janie Till as they give leadership to this far reaching ministry in Europe through established short and long term teams. Pray for Judy Mbugua’s Homecare Spiritual Fellowship as it reaches out to the community through evangelism and discipleship, orphans & vulnerable children, HIV/AIDS widows, the dressmaking school and the Retreat Center. Pray for the weekly Bible Clubs in the Kibera slum that reach over 350 children at 5 centers and also provide opportunity for 55 teens to learn life skills to help them walk in integrity, love and unity. 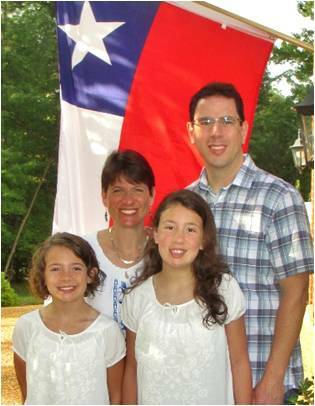 Pray for the Youngs as they give leadership to a growing team with growing needs, and work to reassign MEDIC staff. Pray for the work in Sultanganj, as they wait to see how God will open doors in this needy community. Continue to pray for the churches in their city where so few people know Jesus, and for B & A as they shepherd this flock. As we give thanks this day for our bountiful blessing, let us also give thanks for the committed individuals who serve the Lord throughout the world. Pray they will sense His peace and joy in all they do to bring others into His Kingdom. One of the many issues Herb faces is assisting Arab brethren from other countries who seek to serve at Annoor but who have registration issues. 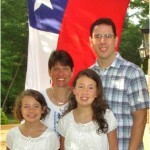 Pray for one such family forced back to their home country and for deliverance from authorities there. 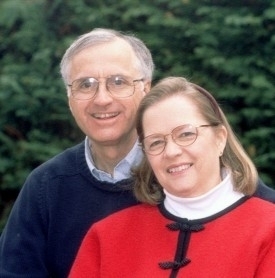 Pray for Herb to gain wisdom, expertise, and the continued good standing the ministry has enjoyed due to Aileen’s long tenure and service to the people of that land. Guille MacKenzie is developing a multicultural church in Buenos Aires and asks prayer for a balanced church focus between loving God, each other, and their neighbors and for strength in unity and commitment to the Lord. Pray for God to continue to bless Guille’s family, for neighbors who do not know the Lord, and for wisdom to manage his time and health in a godly manner. Pray for Chris and Kirsten Furr as they anticipate starting a new ministry in Budapest next summer. Part of Chris’s role as UWM European Regional Leader is to build a leadership team to support current efforts and a new vision for the region. In Budapest, they will look to join an established community with an English speaking international Christian school for the children to facilitate this effort. Brian P. asks prayer for Bassam to take time to re-study the NT, that God will bring him to faith, and that he will no longer travel the world debating Christians. Pray Aish will reject her abusive boyfriend and pursue Christ in true faith, and for Daniel and Joshua’s father to come to faith as his sons did recently. Pray the proposal given to a local Islamic Law College for weekly ESL classes will be favorably accepted. Thomas and Jennifer now have an official partnership with one of the most established evangelical churches in Chianyi City to join them in various ministries. Pray this will encourage and mobilize local Christians to reach out to new believers and those considering becoming Christians. Pray Thomas & Jennifer as they disciple and plug in a young family from Malaysia doing a 3 month internship at the Gospel Center. Praise Craig and Stacy Pohl‘s daughter received specialized evaluation and assistance for some development and educational challenges while they were in the US visiting family and ministry partners. Pray for wisdom, love, humility and a servant heart as Craig directs the Reformed Theological Academy in Santiago, and for the leaders of the Presbyterian Church in Chile to work as one to strengthen and encourage leaders.